The Jewish elites of New York, acculturated German Jews who came prior to Eastern European immigrants were worried about the rise of desertion among Jewish population in New York. Their concern, however, did not have its source in the compassion for deserted women or in the belief in family importance for the Jewish society. The Jewish upper classes were afraid that the family desertion practiced by their Eastern European co-religionists would stain the good name of the Jews in the United States and even provoke anti-Semitism. 5Thus, the family desertion issue became of a great importance for the Jewish philanthropists who immediately directed their forces to establish necessary institution fighting against desertion among Jews in New York. The National Desertion Bureau opened its doors to agunes at 356 Second Avenue. The deserted women flocked into its offices, asking for assistance in finding their husbands. In its peak, the NDB dealt annually with over 5,000 cases of desertion. 7 The files of the NDB kept by YIVO reveal the diversity of the cases, differing in the reasons for desertion, wife’s attitude toward the deserter, and the final result of the investigation. In contrast to what it was commonly believed, the most frequent reason for desertion was not financial hardship, but other women. Moreover, the majority of agunes did not expect their husbands to come back, but rather desired to receive from them financial support and official letter of divorce. Filled Report of Desertion submitted to NDB. The institution cooperated with charities, Jewish welfare organizations, as well as American police and courts. The deserters who had been found were forced to reconcile with their families or at least to sustain their children, under the threat of being arrested and incarcerated in a workhouse. Farshvundene Mener or Farshvundene Froyen? 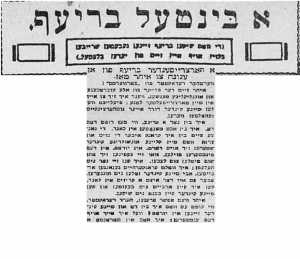 One of the other methods used by the NDB to locate deserters was publishing calls for these men in the Yiddish press, expecting the readers who recognize the deserters to provide information about their whereabouts. Regular publications of men’s pictures and their stories certainly brought to the popular attention the problem of the desertion within the American Jewish society. 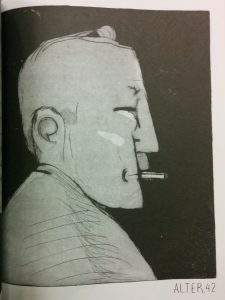 Since the majority of publications on desertion had focused on narratives of the deserters, the agunes actively sought a platform to articulate their experiences. The agunes sent letters to the popular section of “Der Forverts”, “A Bintel Brief” [Yid. A Bundle of Letters], which portrayed the women as active actors of their desertion stories. In contrast to the purely informative announcements in the “Gallery of the Vanished Husbands”, the women’s letters were personal accounts on desertion and on its consequences for abandoned wives and their children. As it has been said, not all of the women were passive victims of husband desertion and the letters reveal that nor the women considered themselves as such. Through the letters the women reasserted their agency in the public discourses on desertion. Fridkis, Ari Lloyd. “Desertion in the American Jewish Immigrant Family: The Work of the National Desertion Bureau in Cooperation with the Industrial Removal Office.” American Jewish History, vol. 71, no. 2, 1981, pp. 285–299. A Bintel Brief, “Der Forverts”, 06/08/1921 and 06/28/1921. A Galerie fun Farshvundene Mener, “Der Forverts”, 1924. Alroey, Gur. „And I Remained Alone in a Vast Land”: Women in the Jewish Migration From Eastern Europe,” Jewish Social Studies, vol. 12, no 3, pp. 39-72. Goldstein, Bluma. Enforced Marginality. Jewish Narratives on Abandoned Wives, University of California Press 2007. Family Desertion and Non-Support. 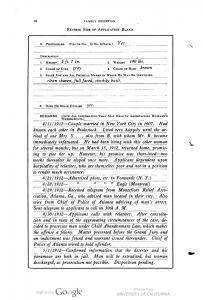 Report of the National Desertion Bureau, for 1912-1915, New York 1916. Finck, Liana. A Bintel Brief: Love and Longing in Old New York, New York 2014. Friedman-Sigman, Reena. 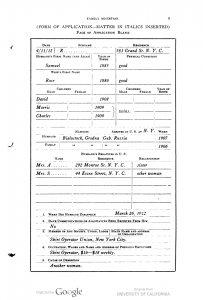 “‘Send Me My Husband Who Is in New York City’: Husband Desertion in the American Jewish Immigrant Community 1900-1926.” Jewish Social Studies, vol. 44, no. 1, 1982, pp. 1–18. quote after: Igra, p. 68. What is going on with Chassidish Education –– Katle Kanye Has a Something to Say. . .